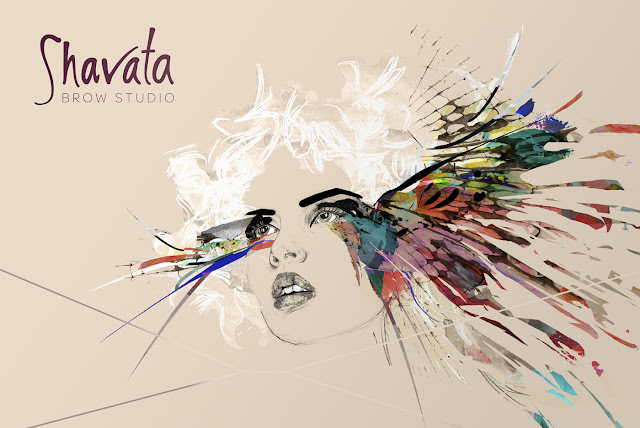 One of the biggest names in the brows business and with 25 years in the beauty industry, Shavata Singh set up a studio at Urban Retreats in Harrods in 2004, before launching brow bars in Harvey Nicks, House of Fraser and Debenhams stores up and down the country offering shaping, tinting and eyelash extensions. I have strong brows and, much to my mother's dismay, overplucked them to a ludicrous pencil thin line when I was a young teen (rite of passage, right?). I'd been reluctant to change the natural shape again, but I got my eyebrows threaded for the first time this week and I'm sold. I visited the Shavata counter at House of Fraser on Oxford Street and emerged with the neatest eyebrows I've ever had. I thought it would be a painful endurance test, but it was no worse than plucking and over in ten minutes. When finished threading, Fahmina applied a few strokes of Brow Tamer, the fastest selling product from the beauty guru's specialist line of products and my latest make-up bag essential, a click and twist clear gel pen which keeps unruly brows tidy. Brush the hairs upwards from underneath the arch and downwards from above for a manicured look. Having groomed, properly shaped brows frame your face and make you look polished; the beauty guru suggests getting them professionally done at least once a year, so you know what they should look like and can maintain the shape yourself at home.